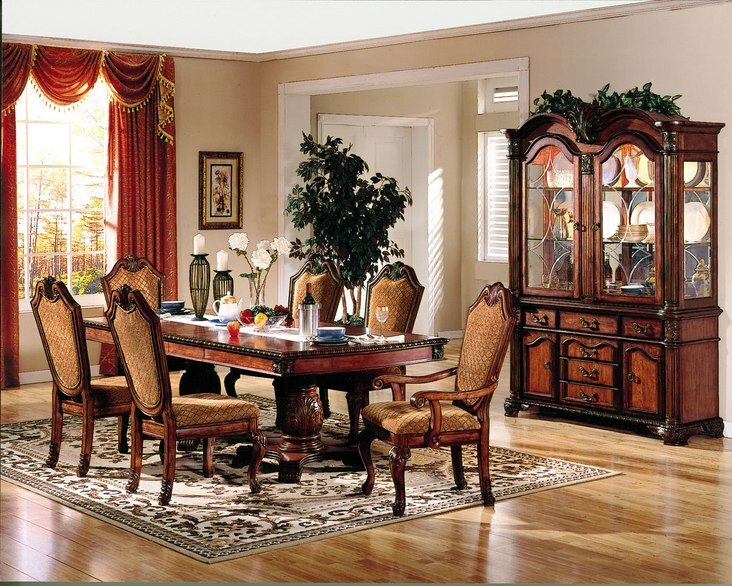 Traditional appeal and excellent craftsmanship, this Chateau De Ville Collection by Acme Furniture will also impress you with many years of practical function. 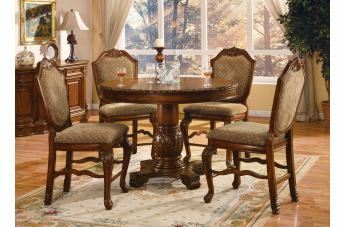 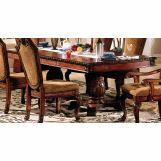 The double pedestal table extends to 96 inches with two 15-inch leaves. 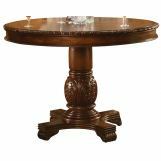 Boasting elaborately carved dual pedestals, this table will be equally at home in a city townhouse or a suburban estate. 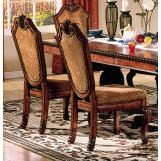 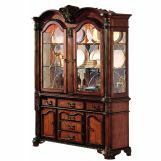 Crafted from sturdy MDF and aspen veneers, it sports a beautiful cherry finish that adds warmth. 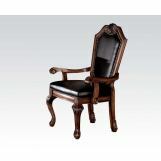 Designed with a great craftmanship and upholstered back and seat for maximum comfort. 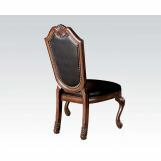 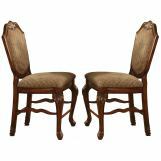 The chairs feature padded and upholstered in a two toned wood stained with tan fabric upholstery seats and backs. 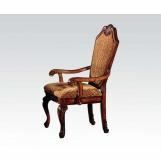 Each piece is finely crafted from solid wood, wood veneers and elegant diamond patterned fabric upholstery that highlights fine carvings with a rich antique look and feel.Enjoy the exquisiteness and maximum comfort with these chairs that will bring more joy to your parties. 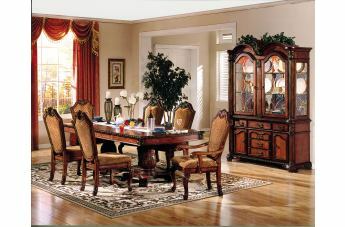 With a timeless silhouette reminiscent of a bygone era, this charming dining set is sure to be cherished by your family for years to come.Create a warm and welcoming feel with classic and sophisticated look in your home.